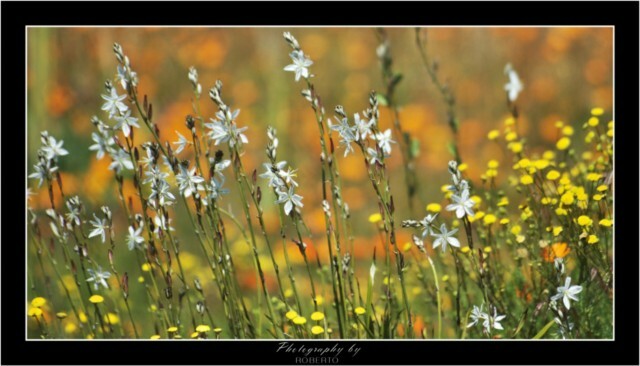 I was commissioned to take some Namakwa flower pics and thus headed off to “Skilpad National Park” near Kamieskroon. A feeling of utter despair engulfed me as the flowers there were withered and certainly not looking their best as it did a week or so ago. Fortunately Elize Hough from the Honnehok in Hondeklip Bay made a couple of calls and suggested that I take a drive up to “Leliefontein”. On Friday (18th Sept), I filled up with fuel in Kamieskroon and headed in the direction of Leliefontein. Approximately 10km from Kamieskroon I turned off left towards “Pedroskloof” where there were still some flowers although not in abundance. From there I ventured towards “Nourivier” where the road joins up again with the road that leads to Leliefontein. 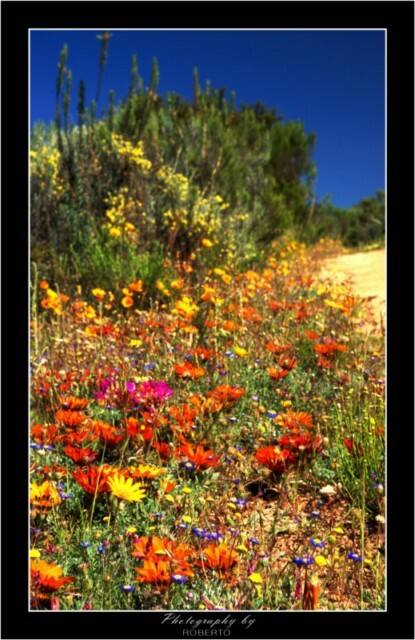 There is an abundance of flowers all the way from that junction (Bakleikraal) on towards Leliefontein. 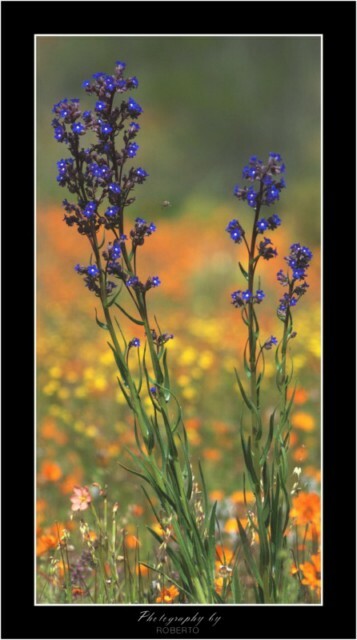 I took a quick drive through Leliefontein and headed towards Karas where I saw some really amazing flowers. Having thoroughly scouted the area, I decided on Saturday (19th Sept) to head back to “Bakleikraal” which is approx. 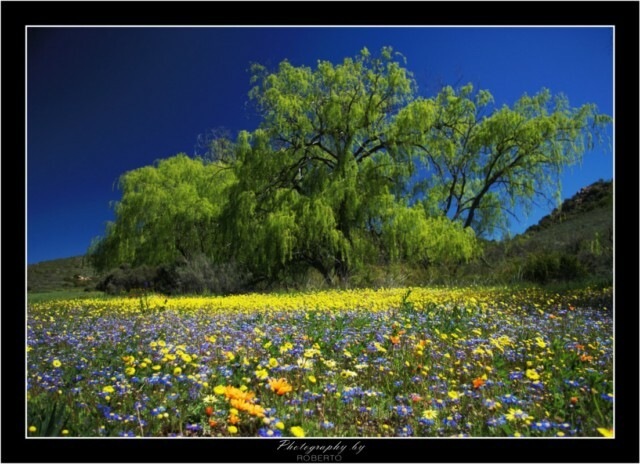 20km from Kamieskroon on the Leliefontein road. I spent the entire day in one spot and was rewarded with some truly amazing pics. I would highly recommend this area, as there are a huge variety of flowers in this area and the scenery is absolutely breathtakingly beautiful. Please take note that the flowers only open up from about 11am as the temperatures up in the mountains is somewhat cooler there. You are currently browsing the archives for the Flower Report 2009 category.